Firefox’s interface is completely customizable, including its orange Firefox menu button. You can change its name or color to anything you want – you can even set a custom background image or add your own logo. After you’ve tweaked the look of the button itself, you can easily customize the options that appear when you click the Firefox menu button. To make most of these changes, we’ll be editing Firefox’s userChrome.css file – by modifying this file, we can change the appearance and functionality of Firefox’s interface 3 Firefox Add-Ons That Provide The Chrome Features You Love & Miss 3 Firefox Add-Ons That Provide The Chrome Features You Love & Miss As you’ve probably experienced yourself, when you get used to a browser, no matter the annoyances, there are certain features that really grow on you. Features you feel you cannot do without, and are keeping... Read More . The userChrome.css file is located in your Firefox profile folder How To Use Firefox Profiles & Run Multiple Firefox Profiles At Once How To Use Firefox Profiles & Run Multiple Firefox Profiles At Once Firefox stores your browser data – bookmarks, history, preferences, extensions, and everything else – in a directory known as a profile. Each user account has a single profile by default, but you don’t have to... Read More – if this file doesn’t exist, you’ll have to create it. To open your Firefox profile folder, click the Firefox orange menu button, point to Help, and select Troubleshooting Information. Scroll down and click the Show Folder button on the page that opens. Inside the Firefox profile folder that appears, double-click the chrome folder, and then double-click the userChrome.css file inside it to edit it with Notepad. You can also edit it with any other text editor AkelPad vs Notepad Plus - Can It Even Compete As A Notepad Alternative? AkelPad vs Notepad Plus - Can It Even Compete As A Notepad Alternative? There are lots of Notepad replacements out there, and it seems like everyone has their own favorite. Notepad++ is one of the most popular, but AkelPad is a more minimal option. AkelPad is a fast,... Read More you prefer, like Notepad++ Soup Up The Notepad++ Text Editor With Plugins From The Notepad Plus Repository [Windows] Soup Up The Notepad++ Text Editor With Plugins From The Notepad Plus Repository [Windows] Notepad++ is a worthy replacement for Windows’ in-built and much loved text editor, and comes highly recommended if you’re a programmer, web designer or simply someone who finds themselves in need of a powerful plain... Read More . If you don’t see the chrome folder or the userChrome.css file, you’ll need to create them. Right-click in the Firefox profile folder that appeared after you clicked the button, point to New, select Folder, and name it chrome. Open the chrome folder and create a new text file in the same way, naming it userChrome.css (replace the .txt file extension with .css). 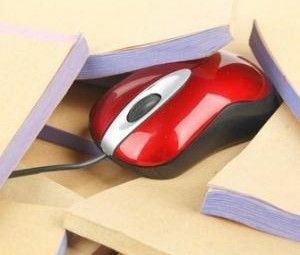 If you don’t see the .txt file extension, you’ll have to tell Windows to not hide file extensions 4 Common Windows 7 Problems And Fixes 4 Common Windows 7 Problems And Fixes Read More . If you already have some text in your userChrome.css file, omit the first line (the one that begins with @namespace) and copy the other lines of text to the bottom of the file. Each line here is pre-filled with the default settings, but you can change each setting. To change the button’s background color: Change the #orange after background: to another color. For example, to use a dark blue, replace #orange with #0404B4. To change the button’s text: Replace “Firefox” with your desired name. For example, you could enter “MakeUseOf”. To change the button’s text color: Replace the #FFFFFF after color: with your desired color. The default #FFFFFF represents white – to use a light gray, use #F2F2F2 instead. To choose your custom colors, you’ll need the hex color code (also known as HTML color code) for the color you want. You can get this information from a variety of websites or programs, including RaphaelColorPicker, which we’ve covered in the directory. Save the userChrome.css file and restart Firefox after making your changes. You may want to customize the button further by adding a custom background image. This can be used to add an organization’s logo (or any other image you likes) to your Firefox menu button. Replace image.png above with the full path to your image file. This can be a local path beginning with file:// or a remote path (URL) beginning with http://. Use the Personal Menu addon for Firefox to customize the options that appear when you click your Firefox menu button. This addon gives you an Edit This Menu option when you click your Firefox menu button. Click the option and you’ll see an easy-to-use graphical window for editing the contents of your Firefox orange menu. You can add new options, remove existing ones, or rearrange them. If you’re a Firefox user, be sure to check out our regularly updated list of the best Firefox addons. How do you customize and tweak your Firefox installation? Leave a comment and share any cool tricks you use! It doesn't work for firefox 17. any suggestion? Sure, but aren't most things in life "unnecessary?" The nice dinner I'm about to cook is unnecessary when I could just eat inexpensive gruel every day. Some people enjoy this sort of thing, and more power to them! Follow this guide and use this code snippet, it worked for me. Thanks so much; sorry about the issues with the examples in the article. Or if you do not want to mess around with the userChrome.css file, you can download the Stylish addon, and use that to make your files. Stylish allows you to manage all the styles from right inside FireFox. Then you can go to https://userstyles.org/, and find thousands of more styles that you can use. 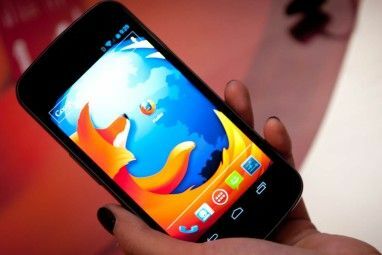 And unless they are changing something about the FireFox program or menus, most of them should work with Chromium and Google Chrome as well. You can hide parts of the page that you do not want to see, add stuff to pages, or move stuff around. You can do a lot fo manipulating using these styles. I do not edit my userChrome.css file, so unless there is something different about doing it that way, then yes the closing '}' is missing from the examples. Good suggestion. I suppose I should have mentioned Stylish instead of being so old school. It didn't work for me. I cannot find out chrome folder and I added new one, is s.t wrong? Sorry, see the information about extra curly brace ( } ) characters in the comments above. I used resource hacker to change the icon. It was cool! Haven't tried this yet. Hope it works! Ah, that's also a really cool hack! I have tried, But i did' t get it.Could u please provide the information with images. 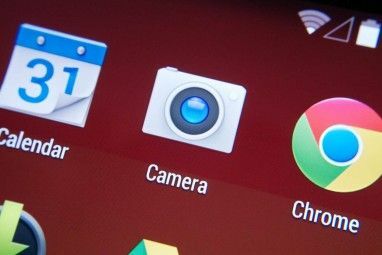 Open your user profile, if you dont see a folder called Chrome create it. If you have a folder called Chrome then you will most likely have a file called userChrome.css, if not open Notepad and create it. as it will already be in there. Edit the background and text codes to what colour you want. Edit the word Menu to whatever you want the button to say. Restart your browser and check. Thanks or helping out, Alan! I really appreciate it. A couple of your CSS snippets are missing the final close curly brace. I was editing my userChrome.css file a couple of weeks back to get rid of a bug where the tabs-on-top fall below the menu button when the window is restored rather than fullscreen. At the same time I changed my location bar to use a mono-spaced font. Oh boy, that's correct. I'm not sure if the blog platform erased them or what. Apologies to everyone for this -- I'll try to get someone to fix it. @Harshil you need to create them. Worked fine for me! I think there should be a "}" at the very end?? Its a novelty idea but I went immediatly back to the Menubar. The article said to create your own folder and file by those names if they weren't already there. How do you do that on mac? Thanks for pointing this out..
Ah nice, I had no idea such a thing existed! Not sure why, but it's not working for me. (Changing menu button) HMMM. Are you sure nothing was left out? Sorry everyone, the two code sections in Customizing the Button’s Appearance should end with a } on its own line. I've asked for the article to be updated.